Dr. Susan Gardner is a Philosophy Professor at Capilano University, the founder and co-director of The Vancouver Institute of Philosophy for Children, a co-director of the North American Association of the Community of Inquiry, a member of the editorial board of Analytic Teaching and Philosophical Praxis, and a member of PLATO’S steering committee on P4C scholarship. Her critical thinking text Thinking Your Way to Freedom was published in 2009 by Temple University Press and a critical thinking app for kids, entitled Tinker Thinkers (based on that text), is due out in the summer of 2014. A list of her extensive publications can be seen here. 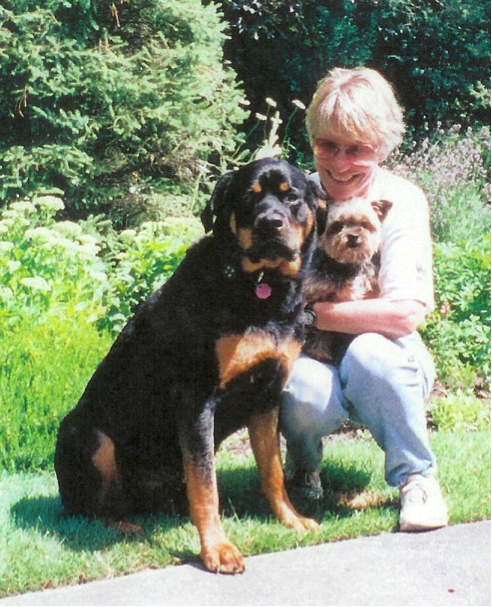 The photo below shows Dr. Sue with Diva and Bennie, the pouches in her critical thinking text who show students the importance of reasoning well.